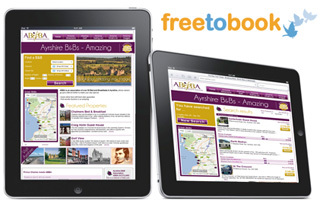 When the Ayrshire Bed and Breakfast Association (ABBA) decided they wanted to upgrade their website it was probably not in their plans to create a fully functioning online booking website, however that's exactly what they ended up doing! Many websites created by associations can be very informative but stop short of offering a great user experience because once the customer starts to search and book accommodation they can become frustrated and lost..... and wander off. Searching for and booking accommodation online is now a common feature in many people's lives. The tourism sector and specifically accommodation and flight segments have been radically transformed in the last 10 years by the internet. The e-commerce processes available on the internet have quickly absorbed these segments, probably more so than any other sector. You just have to enter any usual accommodation "search term" to realise the millions of options available and businesses competing for your booking. These online travel agents or accommodation websites now transact billions of dollars weekly. They are successful because they have developed sophisticated booking engines that customers find useful and easy to use. Simply put, they provide information, choice and ease of access through grouping accommodation by area. This enables them to pay and compete for a strong presence on the search engines and by offering a wide variety of properties they have a greater chance of converting that customer into a booking. They are also continually investing in improving content and usability and with the increase in user-generated content (i.e. reviews and social media in general) this model is likely to continue. As more and more customers now prefer to search and book their accommodation online these sites continue to increase their influence. Individual properties simply cannot compete due to the limitations of their single offering/product. In any business, success will depend on how well you service your customer's needs, and this servicing begins right at their research and book phase. We've established that customers expect to be able to book accommodation online. Therefore you need to have a strong internet presence and the ability to convert visitors on your website or facebook page. Normally one of the core aims is to improve awareness of their area and member properties. 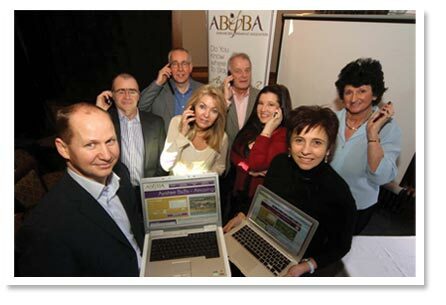 This will involve sharing or grouping marketing resources for the benefit of all. Getting customers to book direct will always represent a saving by cutting out commissions or improving the booking handling efficiency. "customers expect to be able to book accommodation online"